Earlier this year, Michael Sheen and Maria Bello starred in Beautiful Boy, a heart-wrenching drama about two parents who are forced to deal with the aftermath of their only son going on a shooting rampage at his college and then committing suicide. 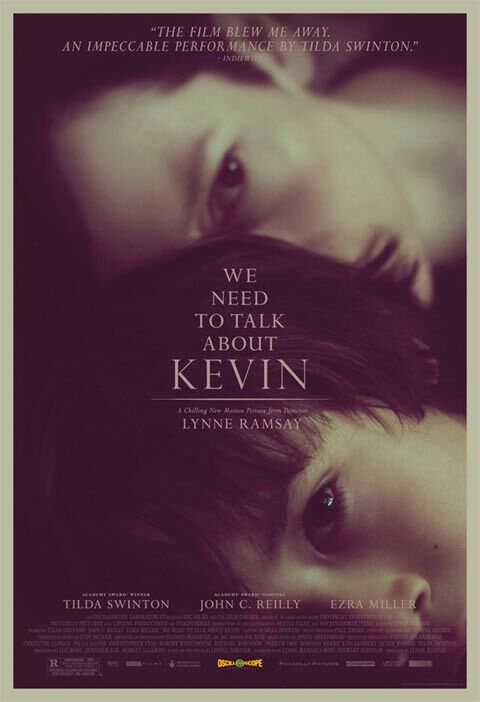 It's for that reason that We Need To Talk About Kevin, the new film directed by Lynne Ramsay and starring Tilda Swinton, doesn't seem like the most original idea in the world, but if the early reviews are any indication, the film will be considered one of the best of the year. Premiering at the Cannes Film Festival in May and making stops in other major fests like Telluride and Toronto, the film has already garnered an incredible amount of buzz, particularly for the performance by Swinton. There's still some time before the film comes out - it goes into limited release on December 9th and expands on January 27th next year - but today brings a brand new poster for the movie. Check it out below or see it full size over at HitFix. Also starring John C. Reilly and Ezra Miller, We Need To Talk About Kevin centers on a grieving mother named Eva whose teenage son goes on a killing spree at his high school. Needing to find an outlet, she begins writing letters to her son's estranged father. The film is Ramsey's first since 2002's Morvern Callar.